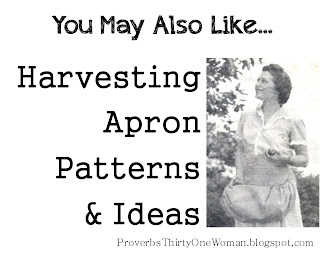 Proverbs 31 Woman: The Best Free Apron Patterns on the Net! I love aprons. Not only are they practical (I always end up with flour head to toe if I neglect to wear one), but they tend to keep me on task. 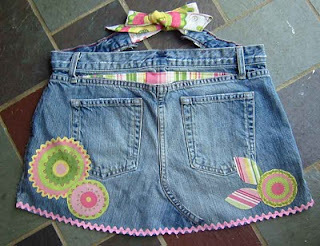 And these days, there are so many fun aprons available, it's tempting to acquire a whole collection for every mood and whim. 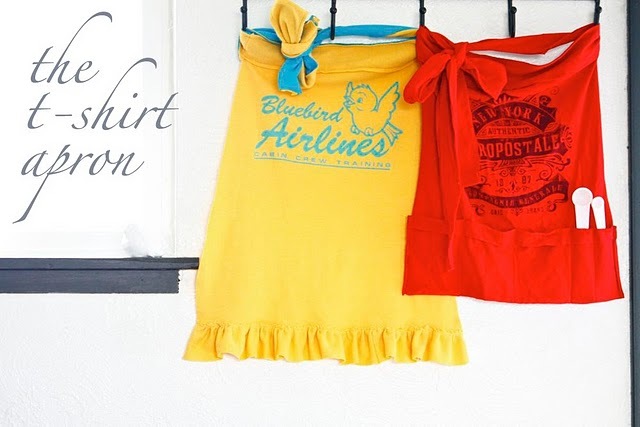 My favorite aprons have full coverage, long straps for tying, and never need ironing. The latter is one reason I love aprons made of quilted fabric. 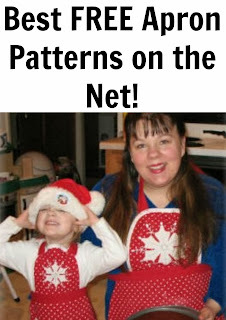 Besides, if you're like me and you can never find a pot holder when you need one, a good quilted apron can double as one. 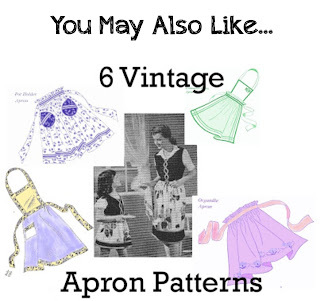 UPDATE 3/1/12: Click here for even more great apron patterns - including 6 from my personal collection of vintage patterns. 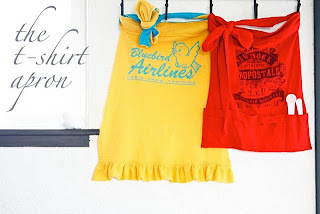 Now I know what to do with all these old t-shirts we don't want to use anymore. Or what fun project I can do with my MOM and daughters this summer.